Sign up and Sign in (Log in) on the eCampus Portal. Proceed to pay your Hostel Accommodation Fee in at the designated assigned to your Faculty, as stated above. Sign up and Sign in (Log in) on the eCampus Portal to complete the Clearance Eligibility Form. Fill the Rejection Form online. Proceed to the Admissions Office with the Form you completed online for advice from the Desk Officer in charge of Rejection in the Admissions Office. The Admissions Officer, after confirmation, will direct you to pay for the Rejection Form. Thereafter, return to the Admissions Office to obtain your Rejection Form. Based on the advice of the Desk/Rejection Officer, the candidate should proceed to the recommended Department. The Faculty Officer and the Head of Department of the recommended Department, respectively, will endorse the appropriate section (rejection/acceptance) on the Rejection Form, duly completed by the candidate (if the candidate is still rejected by the Department in question, the Officers (i.e. Head of Department and Faculty Officer) will make their remarks, stating the reasons for the rejection and the candidate is expected to go back to the Desk/Rejection Officer in the Admissions Office, for advice). Otherwise, if the candidate is accepted by the Department, he/she should return to the Admissions Office for further endorsement of the Form. The Department of the candidate will then be changed online to reflect the new Department. This, therefore, creates room for the candidate to go back online to complete the Clearance Eligibility Form online based on the Department which accepted the candidate. Proceed to pay your School Charges in any of the designated . Thereafter, Sign in (Log in) on the eCampus Portal and print all online Fee Receipts. Complete the Personal Data Form for new Students. Complete all other Registration Forms online and Print. Carry out Medical Examination and Registration at the Uniport Medical Centre. Take all your completed and printed documents including: Online Fee Receipts, Acceptance Form, Provisional Admission Slip, Guarantor’s Form and proceed for physical verification at the Admissions Office with the originals of your O’level Results/Certificates and UTME Result Slip (for sighting). If cleared by the Admissions Office, proceed with your documents for clearance to the Faculty Officer of your Faculty. 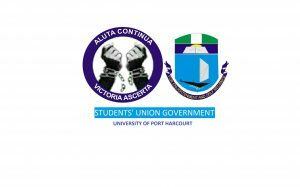 In addition to the documents indicated above, other documents required include: Birth Certificate, Local Government Identification, Eight (8) Passport Photographs, Matriculation Register Form, Student Undertaking Form, Uniport Health Centre Card and Two (2) Referee Letters. If cleared by your Faculty Officer, wait for approval of the Academic Officer online, before you proceed with the other registration activities (such as course registration). CANDIDATES ARE EXPECTED TO COMPLETE ALL REGISTRATION ACTIVITIES ON OR BEFORE 14th NOVEMBER, 2015 TENTATIVELY, failing which, you will stand the risk of forfeiting the offer of admission made to you. Pls, i want to know if the deadline also include the payment of school charges. Thanks. Your reply will be appreciated.